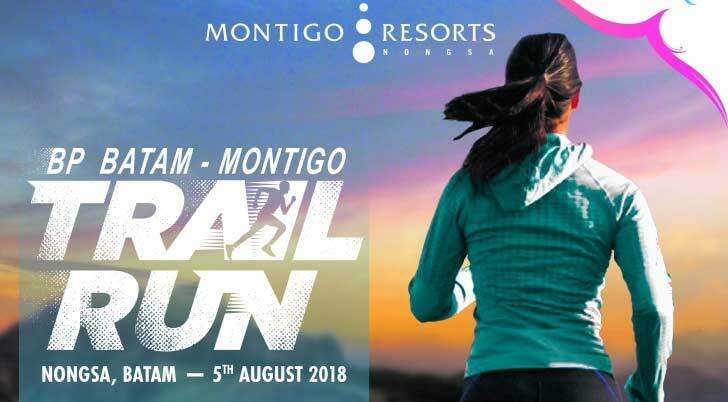 batampos.co.id – Upscale multi-generational hospitality destination, Montigo Resorts, Nongsa announced the success of the inaugural Montigo 10K Sunset Trail Run 2018 in Nongsa – the first of its kind in Batam, Indonesia. 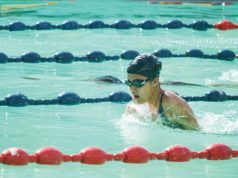 The 10-kilometre run organised by Montigo Resorts, Nongsa was held yesterday (5 August 2018), attracting 280 participants including the marvels of Montigo Resorts, Nongsa, various local running communities, hotel guests and international runners. The trail saw participants taken through unique and challenging trail tracks, such as the Sand Park overlooking the resort’s private seafront of the South China Sea, Kampong Tua Bakau Serip, and the Botanic Garden of Batam. Participants were also treated to 360-degree views from Bukit Aladin and never-before-seen wild forest, sand quarry and water spring along the route. Participants were entertained after the main event with a sunset party and live music at Montigo Resorts, Nongsa’s Sand Park where guests were treated to stunning views of the South China Sea, alongside free-flow food and beverages adding to the bustling atmosphere. Winners of the first-ever trail run in Batam walked away with attractive prizes, with the top prize being a night’s stay at the resort’s luxurious 4-bedroom villa for six guests, while all runners who finished the 10-kilometre trail received a participation medal.